Finished Oct 2017. Final score: 5 / 5. None. I dove in to this blind. If you enjoy classic Brandon Sanderson, you will enjoy this book. Brandon Sanderson seems to have a way of crafting interesting yet intuitive sci-fi mechanics, and this book is no exception. The one that governs this book actually has a science taste backing it. Each reveal lead me to nodding "yeah, that kind of makes sense", despite is being pure fantasy. If I had to nitpick at a couple things, it is that the book had a bit of predictability. Lightsong is full of humor and acts like he does not have a care in the world. What do you think is going to happen? So what will happen to Miss Holier-than-thou Vivenna? There are a handful of unexpected twists, but if you can forgive a touch of predictability in the overarching themes, this is an expertly-crafted fantasy novel that is enjoyable start to finish. 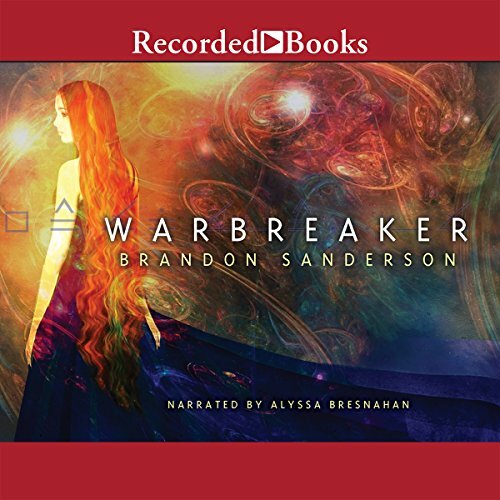 Discuss Warbreaker in the forums.